The Wisconsin Badgers played a spoiler game against fifth ranked Louisiana State University with a 16-14 upset victory in college football kickoff. 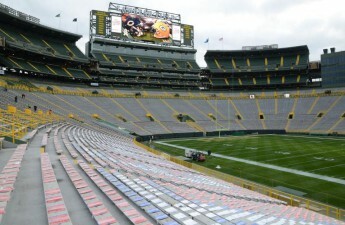 Saturday was part two of an opening game matchup series between the University of Wisconsin and LSU, which began two years ago in Houston, when the Tigers defeated the Badgers 28-24 after battling back from 24-7 deficit. But this year the Badgers had the last laugh. Wisconsin controlled the game through the entire first half, but failed to execute on a number of chances to build a crippling early lead over LSU. The 13-0 lead the Badgers had built up by the third quarter quickly faded after two consecutive LSU touchdowns, setting up a quite memorable fourth quarter and eventual Wisconsin win. It would be easy to chalk this award up to the Badgers’ starting quarterback Bart Houston after the fifth-year senior’s grit and poise to pull off this kind of upset, or even give it to running back Corey Clement for scoring Wisconsin’s only touchdown of the game on top of 86 yards on the ground. But make no mistake, Rafeael Gaglianone was the most valuable offensive player on the field Saturday. Gaglianone was three for three on field goal attempts for the Badgers, the game winner. Despite the pressure and stage, Gaglianone stepped up to the plate and nailed a 47-yard field goal to put the Badgers ahead 16-13 with 3 minutes 47 seconds remaining in the game. Vince Biegel finished the game with a tackle for a loss, a sack and a total of four tackles. 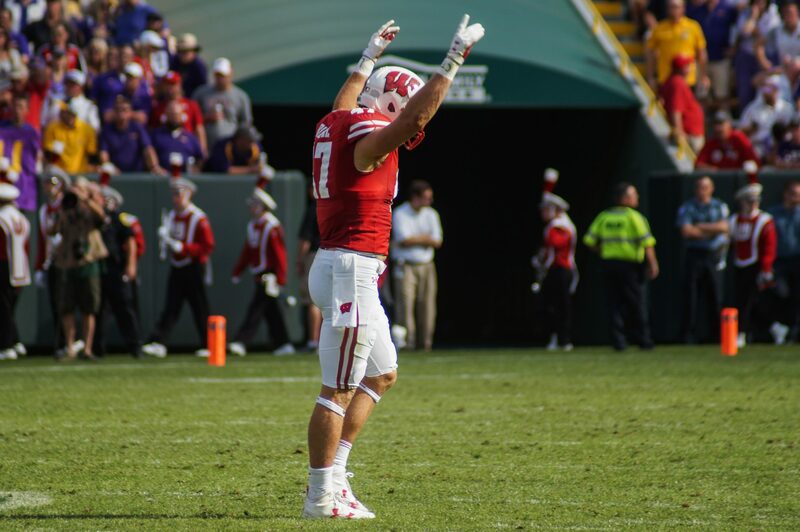 But what made Biegel the defensive player of the game was the pressure he put on LSU QB Brandon Harris, and more importantly his timing. With 1 minute 4 seconds remaining in the game, LSU was driving down the field and lining up only two yards behind field goal range on a first down. That same play, Biegel stormed through the LSU offensive line practically untouched and came face to face with Harris. Though Harris managed to escape Biegel’s grasp, Harris made a rushed throw off-target that landed securely in the arms of Wisconsin safety D’Cota Dixon for the game-ending interception. The third quarter. After the Badger defense forced an LSU three-and-out right out of the gate to begin the second half, Wisconsin traveled right down the field for a Clement touchdown run giving the Badgers a commanding 13-0 lead. Appearing to be in complete control of the game after another defensive stop, Wisconsin QB Houston threw a risky pass to a covered Rob Wheelwright, LSU cornerback Tre’Davious White intercepted the pass and returned it 21 yards for the Tigers’ first score of the game. Until that point, LSU’s offense had been practically nonexistent and lacked any sort of rhythm. Immediately after another Wisconsin turnover, the offense came alive. In two plays, LSU turned an fumble into another touchdown. In 61 seconds, the Badgers went from having the Tigers on a leash to facing a 14-13 deficit. The second Dixon’s shoulders touched the ground after intercepting Harris’ pass on the Wisconsin 25 yard line with 58 seconds left. If not that moment, certainly the moment that LSU’s Josh Boutte leveled a cheering Dixon on an unnecessarily dangerous cheap shot as the Badger safety ran across the field in celebration.